The Retensa Internship Program is an internship that allows Business Management, Management Information Systems Marketing, Computer Science, Industrial & Organization Development and Organizational/Human Resource Development majors to gain computing skills. The internship requires students to be an undergrad or a first-year grad student, and the intern must be able to dedicate three days a week to the internship. It’s an awesome opportunity for anyone looking to beef up their resumé, adding those all-important computing skills! The Amazon Internship is a coding and object-oriented design internship meant for undergrads of any year. The internship takes place for three months over the summer for students majoring in Computer Science or Computer Engineering. With coding becoming increasingly important in our society, this is a great internship to take advantage of and learn these highly relevant skills! The EMC Corporation Internship is an internship for undergrad or first-year grad students. The student must be majoring in one of the following majors: Business, Marketing, Finance, Computer Science, Information Technology, Electrical and Computer Engineering or Law. This internship is a good match for students who want a bit of work experience before graduation! This internship program, meant for high school seniors or college freshmen/sophomores, helps match minority students with different companies. Job opportunities range from Computer Science to Marketing to Retail Store Management. This internship is an excellent way for underrepresented students to gain work experience, potentially in a Fortune 500 company! Gerber Technology has a summer internship for college students. Interns will work with a supervisor and a mentor within Gerber Technology project teams to help develop solutions and new technologies. This internship is ideal for any student wanting to work in technology development and contribute to the development of innovative ideas! 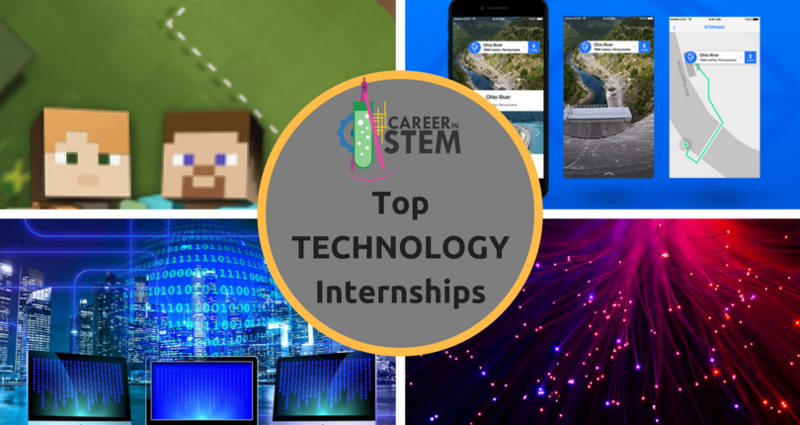 Also, if you’re looking to educate yourself a bit more before delving into a technology internship, Career In STEM has 11 different online camps for STEM fields, including computer science and technology! For example, join the Computer Science Career Explorers camp – learn to code, investigate cybercrimes, and much more! Connect with STEM professionals and gain experience before you start your internship. Enroll today for spring break camp!